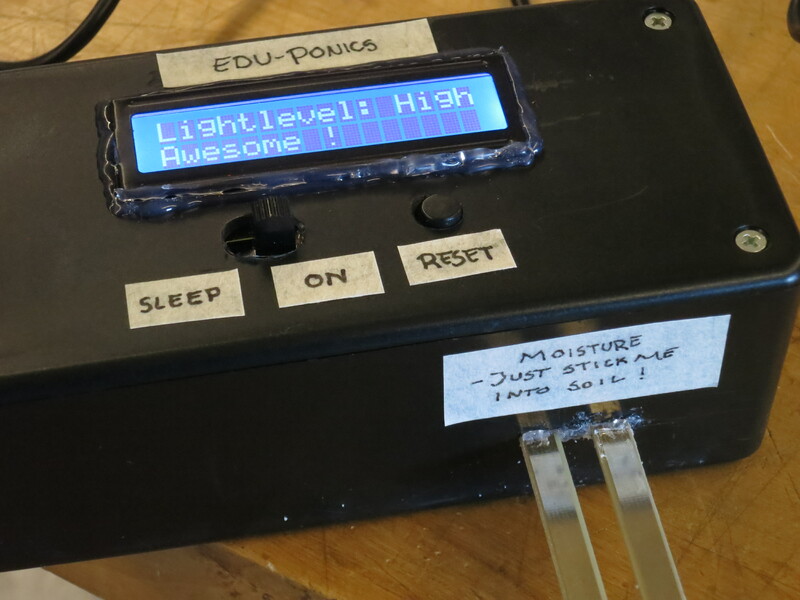 As part of the Edu-Ponics system is a small box that takes measurements. 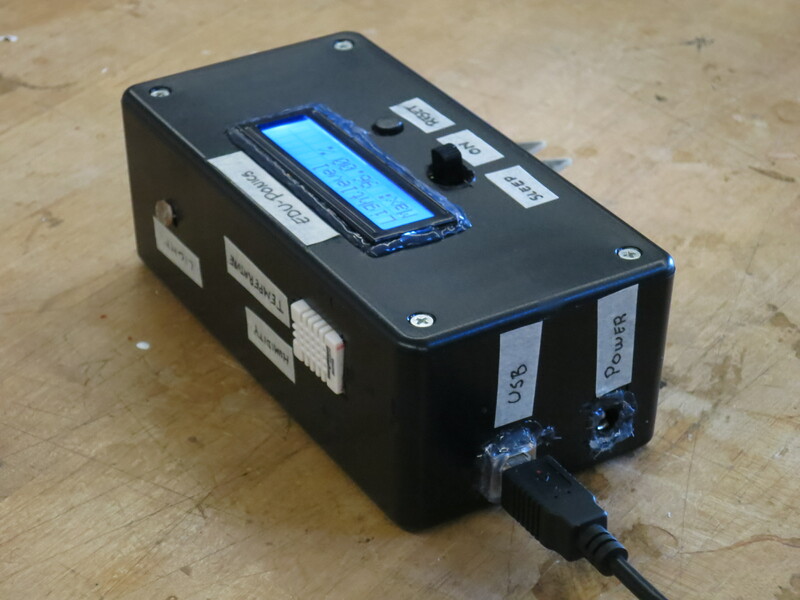 This monitoring unit measures temperature, humidity, lightlevel, and moisture. It displays the information continuously on a small lcd display. It will also record a reding if it an extreme point and store it as either a new maximum or minimum value. The system has three modes: off, sleeping or on. When the system is on the lcd display shows data and it will collect data frequently. 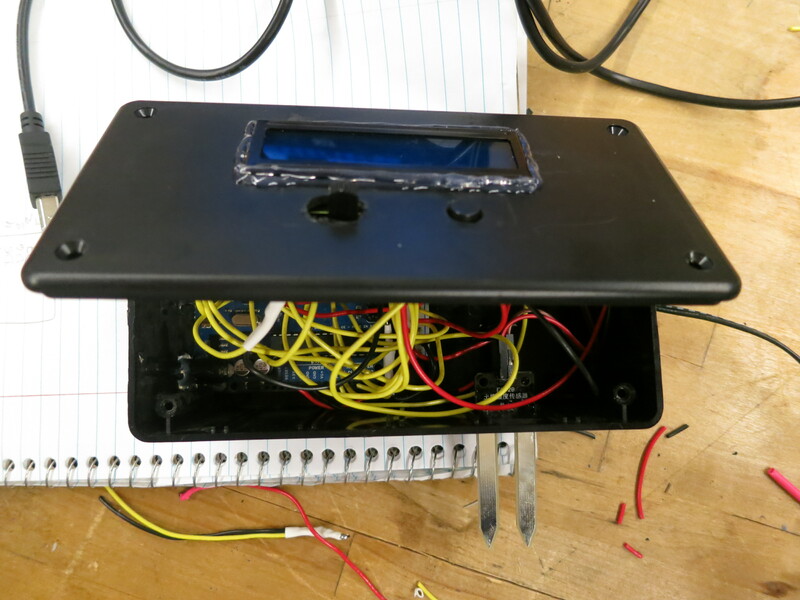 when it is sleeping the lcd display goes off, and the measurements is decreased to one every minute. When the unit is pulled out of power it turns off, and all of the stored values will be lost. There is also a button that resets the system, which is more user friendly than pulling out the power-cord. Measuring a value right before showing it makes a bit more sense when playing around with it. 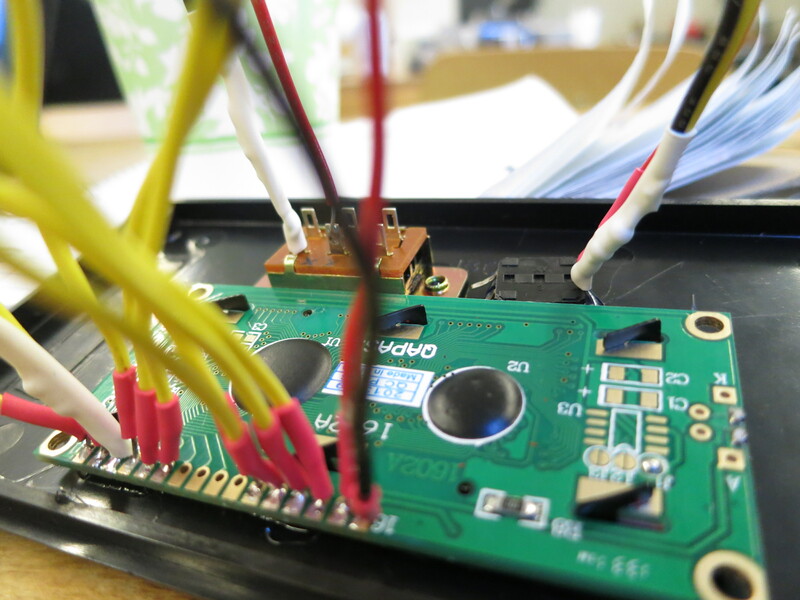 Adding a battery for safety or greatly improved mobility. Making it possible to open it. Sending data to a computer.